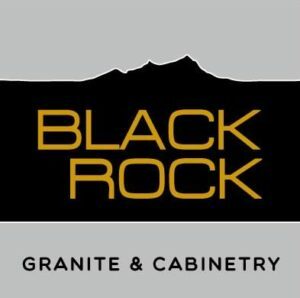 At Black Rock we are passionate about setting the standard for excellence in design and craftsmanship. As your design partner we will help you create a remarkable space that will compliment your new home or renovation. We offer exceptional products including granite, marble and hard surfaces, custom cabinetry constructed from both rustic and traditional species, custom handcrafted light fixtures, full spectrum porcelain, glass and ceramic tile, shower enclosures and European appliances. These products paired with our ability to artistically organize and coordinate your space make Black Rock your full service design destination. Artisans by nature as well as profession, we are invested in your project and responsive to your needs, from the design phase to the finished product. I enjoy the creative process and love seeing the transformation. I also value the relationships we have forged in the building of our business – relationships with vendors, the community, and especially our customers. It’s rewarding to know that each new customer is a potential new friend. My philosophy on the design of a space is that it lives and breathes as an extension of its owners. Good design is reflective of our lifestyles and our innate need to feel safe, fulfilled and organized while surrounded by beauty. It is personal, and as a designer I endeavor to understand what a client wants even if they can’t describe it to me. That is the challenge. Finding that solution leads to a beautifully designed and perfectly detailed space.